Auditions and signups will be held for Department of Music student ensembles at the beginning of the fall term. Our choirs and instrumental ensembles are open to students throughout the University and you are encouraged to apply regardless of your major. Below, please find specific instructions for each of our ensembles. No audition is necessary to join the African Music and Dance Ensemble. Directed by Yamoussa Camara, the African Music and Dance Ensemble meets on Tuesdays and Thursdays in 309 Bellefield Hall from 5:30-7 p.m. The first meeting takes place on Tuesday, August 28. Please join the Ensemble to discover African Music and Dance. The first meeting of the Afropop Ensemble will be held on Monday 27 August at 5:30 p.m. in room 309 Bellefield Hall. No previous experience in an ensemble of African instruments is needed although you have to be able to play a musical instrument (any kind). Afropop Ensemble (Music 0661) exposes the interconnections between African music and the music of the African diaspora such as reggae and jazz. This course focuses on sub-Saharan Afropop through performance and composition, exploring musical elements of Afropop including call and response, repetition, polyphony, improvisation and syncopation. Students will be exposed to Afro-reggae and Afro-jazz, genres that resulted from the fusion of African and Western music elements. The class will meet twice a week for 1.5 hours per session. Instructor Mathew Tembo is a doctoral student in ethnomusicology at Pitt and an award-winning musician originally from Zambia. Tembo studied World Music Performance at the renowned School of Music at Northern Illinois University, graduating with a Masters in Music in 2013. Use Heinz Chapel Choir’s online signup tool to make an audition appointment or sign up at the Student Activities Fair on Sunday, August 26, 2018 from 1-4 p.m. at the Petersen Events Center. August 27th 4:30 – 5:45 p.m. and August 29th 4:30–5:45 p.m.
No prepared music is needed. Students will sit in with the band and sight read through a variety of arrangements of different jazz styles and difficulty levels. Improvisation is optional but encouraged. You may sign up to audition for the Men’s Glee Club at the Student Activities Fair on Sunday, August 26, 2018 from 1-4 p.m. at the Petersen Events Center. No prepared music is necessary, but you will be asked to vocalize in order to assess range, sight reading ability, and pitch memory. Directed by Richard Teaster, the Men’s Glee Club is Pitt’s oldest musical tradition. The Glee Club gives three campus concerts each year and tours annually, either domestically or internationally. 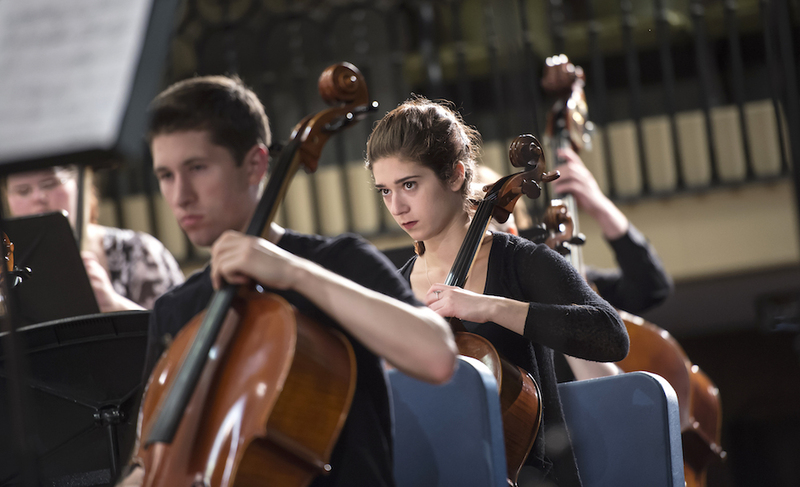 The University of Pittsburgh Symphony Orchestra is composed of both music majors and non-music majors who have a strong devotion to music. Our level of performance improves substantially every year and all skilled musicians from throughout the University (students, faculty and staff) are welcome as well as people from the general community. The orchestra is offered as a 1 credit course called University Orchestra - Music 0620. Rehearsals (and most concerts) are held in Bellefield Hall Auditorium on Wednesdays from 7:30 until around 9:50 pm. Additional rehearsals will be held on Monday nights as needed. In two or three concerts per semester we play a wide range of music from the Baroque period to the very latest music, and support the activities of other areas in the Pitt Music Department, especially new music composition/performance and (increasingly) interdisciplinary studies. Auditions are regularly held the week before a semester begins and the first few days of the first week of classes in Room 216 on the Mezzanine Level of the Music Building in my office. Sign-up sheets for audition times will be posted the week before each semester begins. Auditions at other times may also be arranged by appointment. My studio is Music Building Rm. 216, email is rzahab@pitt.edu and the studio phone number is 412-624-4017. Please prepare two examples of solo music for your instrument - they don't have to be complete pieces but it is certainly OK if they are. They should be from the late 19th through 20th centuries and provide examples of both slow, lyrical and fast, articulate music. Additionally, I would like to hear a few orchestral excerpts for your instrument selected from major works by Beethoven through Copland, Debussy, Ravel and Stravinsky. There may be some sight-reading and I may request a scale or two. No audition is necessary to join the University Gamelan. Directed by Andrew Weintraub and instructed by Meghan Hynson, the Gamelan hold it's first meeting on Monday, August 27 at 4:30 p.m. in 309D Bellefield Hall. Please join the Gamelan to discover this rich Indonesian musical tradition. Students may sign up for an audition time at the WCE table at the Student Activities Fair on Sunday, August 26, 2018 from 1-4 p.m. at the Petersen Events Center. Students may also e-mail Richaela Cowan at rhc17@pitt.edu. Auditions consist of vocal exercises, aural skills, rhythm testing and sight singing. No prepared piece is necessary for the audition. Auditions will be held Monday, August 27th and Tuesday, August 28th in Bellefield Hall Auditorium from 4–8:30 p.m.